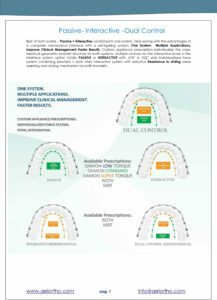 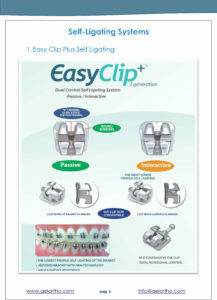 The EasyClip+® Systems can be used as fully passive, fully interactive, or a combination of both. 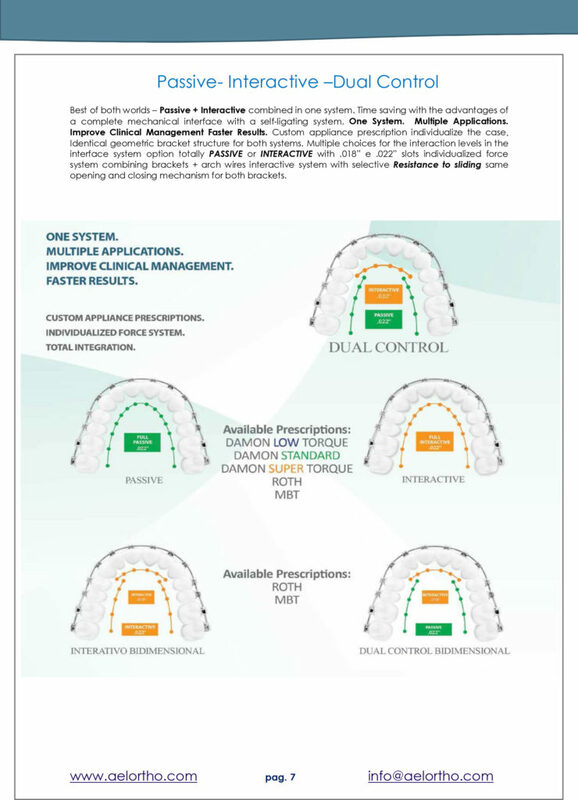 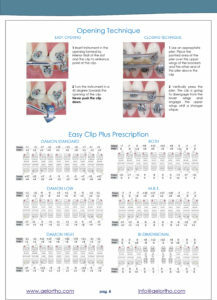 This hybrid approach enables you to use both passive and interactive brackets, offering a variety of treatment options. 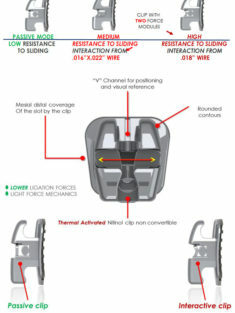 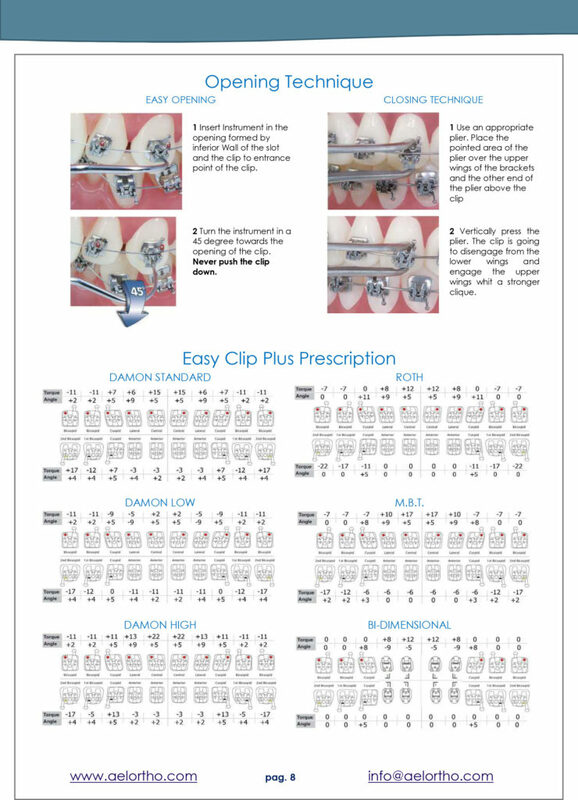 Intelligently designed, EasyClip+ is engineered for comfort, easy placement, and secure bonding. 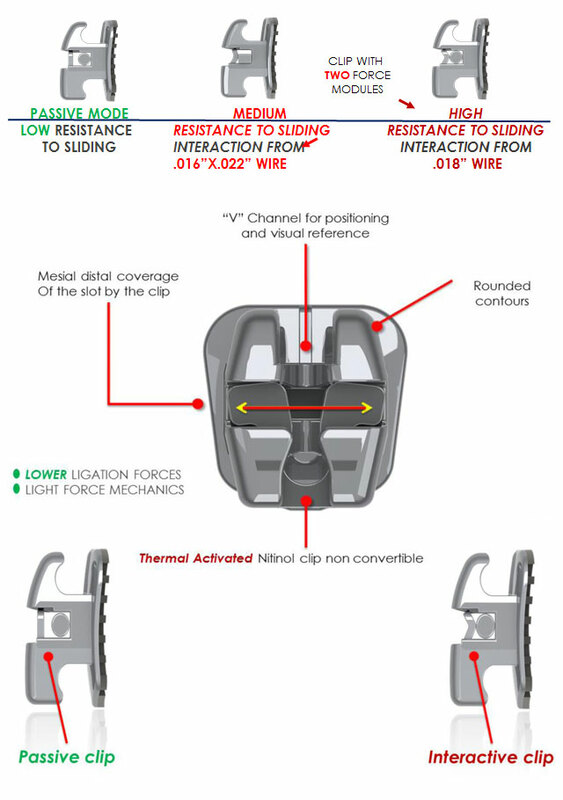 PASSIVE or INTERACTIVE with .018” e .022” slots individualized force system combining brackets + arch wires interactive system with selective Resistance to sliding same opening and closing mechanism for both brackets.